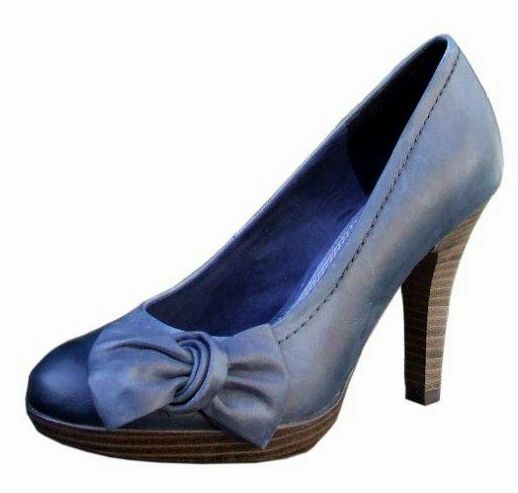 Gorgeous distressed navy leather ladies shoes with a wood effect platform sole & 4" stacked heel. Bow detailing at the toe & off white stitching. Padded insole for extra comfort. The ladies shoes are also also available in lilac.